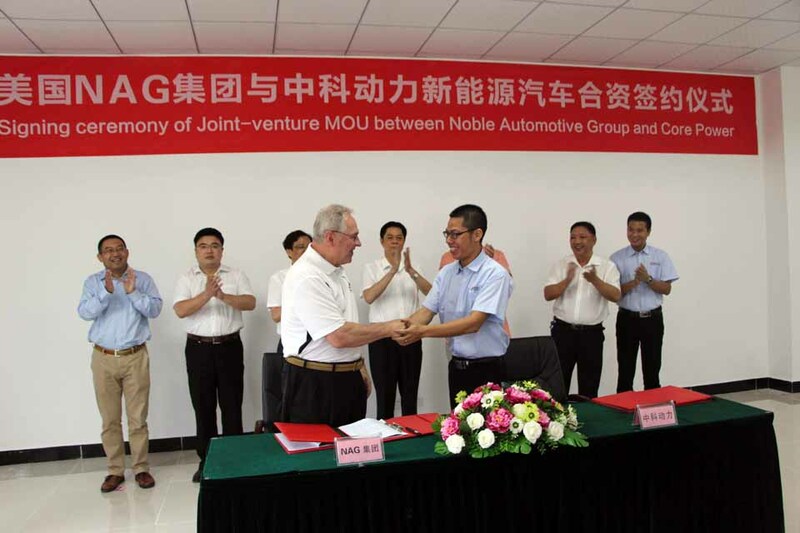 The Principals of Core Power Group China and Noble Automotive Group USA have entered into a Memorandum of Understanding to establish a joint venture partnership. This partnership creates the new company Core Power USA. 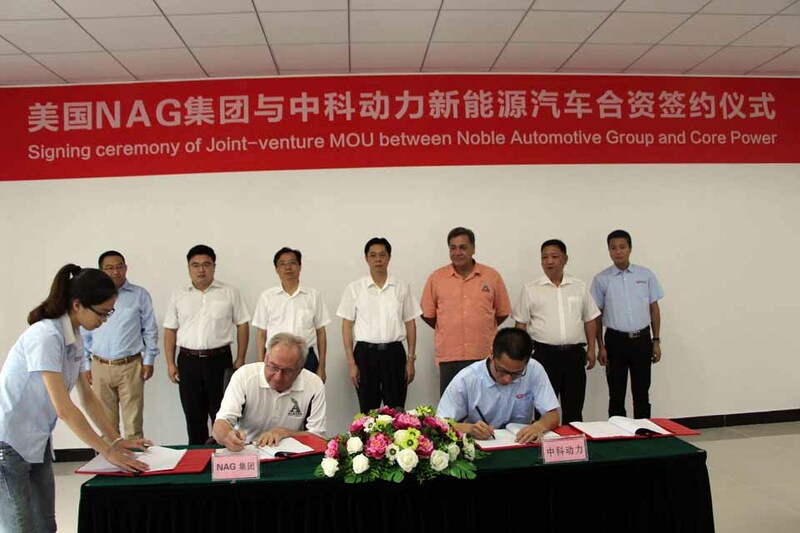 This joint venture agreement signed on the 23rd of July, 2015 will give Noble Automotive Group, Inc. exclusive distribution rights to sell electric plug-in vehicles in North America, South America, Central America and the Caribbean. 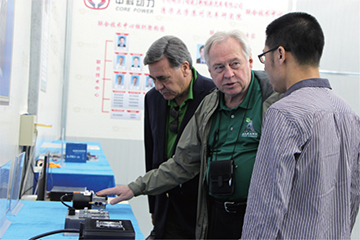 Bob Smith, CEO and Steve Rayborn, Global Sales Director for Noble Automotive Group USA tour the manufacturing facility of Core Power (Fuijan) New Energy Automotive Company. The factory is in Yongan City, Fuijan Province, China. 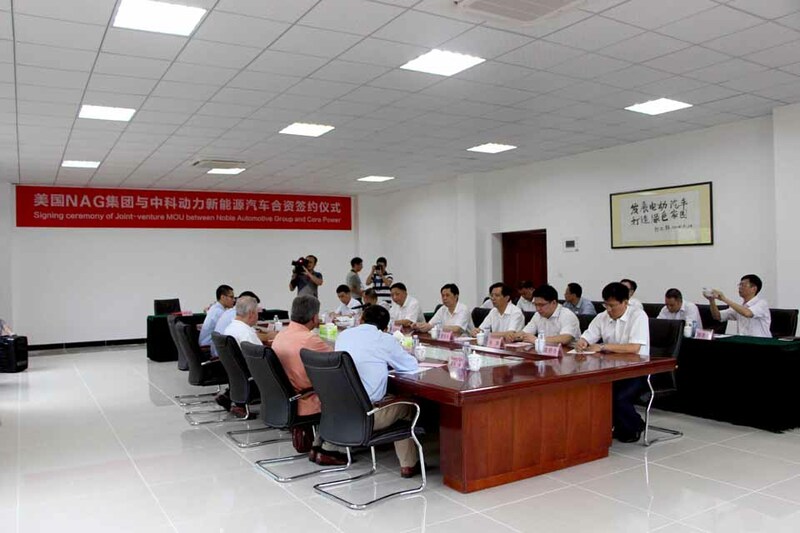 The signing ceremony between Core Power China and Noble Automotive Group USA occurred at the Core Power (Fuijan) New Energy Automotive facility in Fuijan Province, China. Many local and regional dignitaries attended as the Joint Venture MOU documents were signed on July 23, 2015, establishing a new company, Core Power USA. 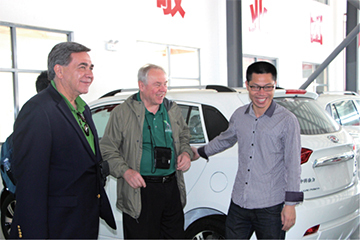 When the Joint Venture Agreement is signed, it will give exclusive rights to Core Power USA to sell and service the Core Power plug in electric cars in North America, South America, Central America and the Caribbean. 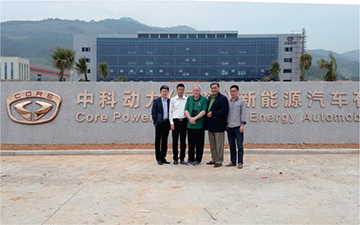 Core Power China operates from a 3.5 million sq. ft. facility which will ultimately have the output capacity of 300,000 vehicles annually.